British academic David Short has been announced as the recipient of the George Theiner Award 2018. Named in honour of George, also known as Jiri, Theiner, the former editor-in-chief of Index on Censorship magazine, the literary award is given to people and organisations outside the Czech Republic, who have made long-term contributions to the promotion of Czech literature and free expression across the globe. and Ludvik Vaculik. 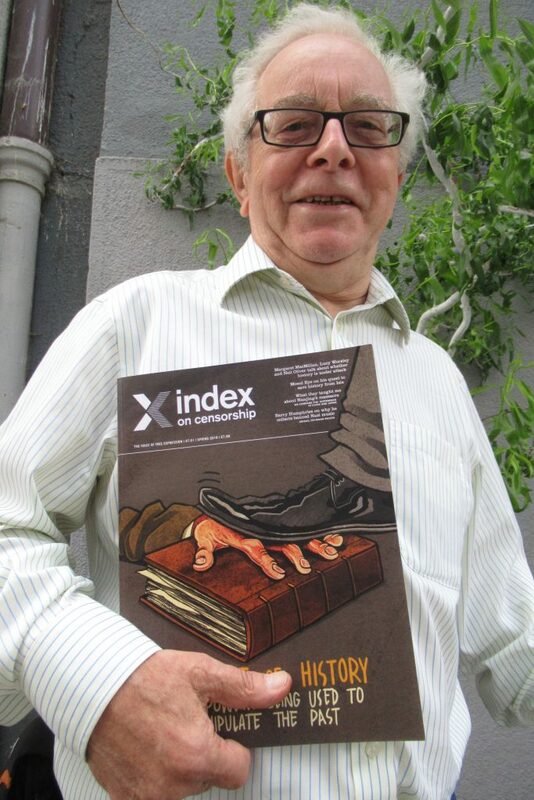 Theiner was the deputy editor of Index on Censorship magazine throughout the 1970s, and, following Michael Scammell’s departure, as the editor in the 1980s. First awarded in 2011 and created by World of Books, the award is presented at the Prague book fair in May each year. The winner is decided by a five-person jury, and also receives a prize of £1000. This year’s winner Short is a British academic who taught Czech and Slovak at the School of Slavonic and East European Studies, University College London, from 1973 to 2011. Over the years he has translated various Czech works into English, including a number of Slovak authors and also created a well-respected Czech-English/English-Czech dictionary, all of which contributed to the profile of Czech authors and literature abroad. Previous winners include Ruth Bondy, who won the award in 2012. Bondy was an Auschwitz and Theresienstadt survivor who moved to Israel after the war to work as a journalist for Hebrew daily newspaper Davar. She taught journalism at the Tel Aviv University in the 1980s and 1990s, as well as translating a number of Czech authors into Hebrew, including the first translation into Hebrew of Hasek´s Good Soldier Schweik. Bondy sadly passed away in November 2017 aged 94. This is simply fabulous news and congratulations David Short!